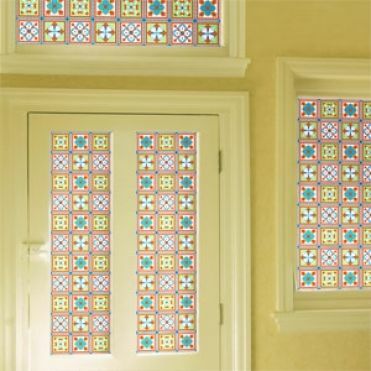 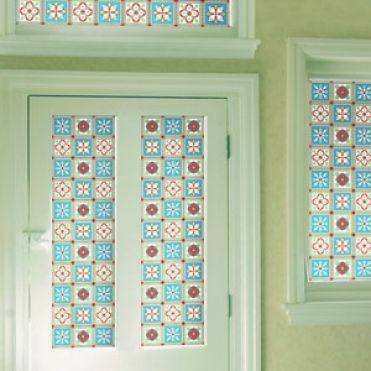 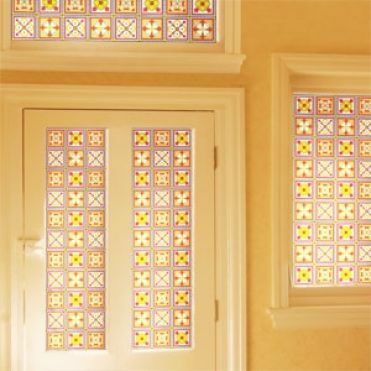 Our Rosa design is based on an original Victorian stained glass design and comes in a selection of 6 colourways. 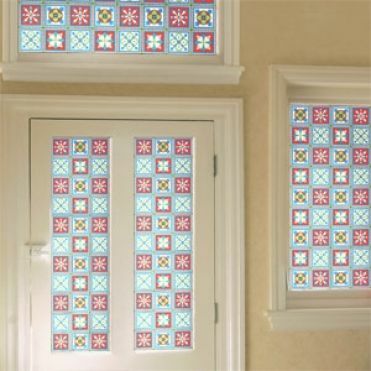 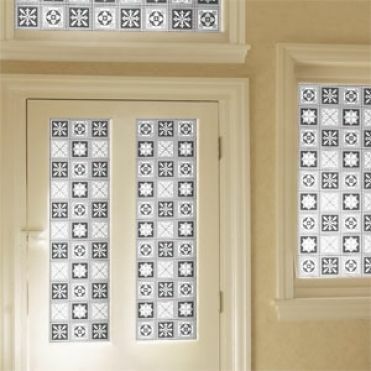 Our stained glass film designs are printed on a self adhesive window film using a UV resistant ink. 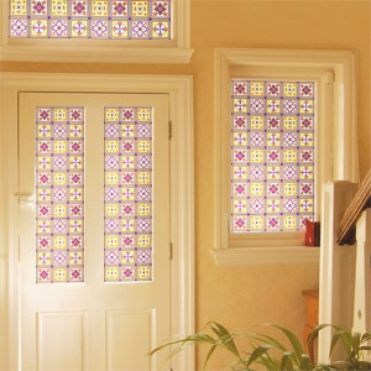 The film is then applied directly to your glass using a wet application technique for a perfect long lasting finish.